Adventuring will always lead to finding some interesting things. Whether it is a golden idol or a crystal skull you’ll need something to carry these artifacts in. If you do find yourself out and about doing some archeology you better take a page out of Indiana Jones’s book and have a trusty bag with you so you can store everything you find in.Now you can look just like Dr. Jones with this great bag teamed up with one of our classic Indiana Jones costumes. 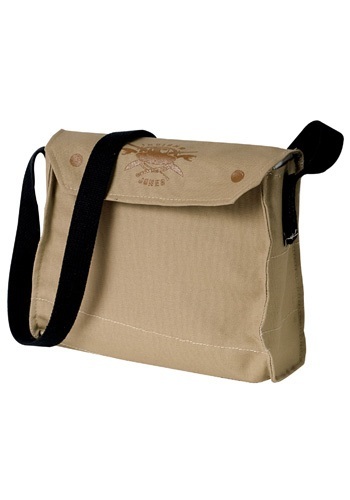 Carry all the essentials with this Indiana Jones messenger bag. This Indy satchel is officially licensed and is perfect for carrying all of your treasures.